When looking for the best online colleges and universities, it can be all too easy to get lost in a sea of tuition costs, graduation rates and other cold, hard statistics. This page steers future students in a clear, actionable direction by breaking down school features in a comprehensive comparison tool and sharing critical factors to consider during the online college search. Explore our helpful resources and get informed and decisive about online college. Students earning their degree online have a far bigger list of colleges and universities to choose from, as opposed to students choosing between attending a handful of local schools. Online universities across the country are now accessible, and you might not know much about these programs–yet. This is where we can help. We’ve narrowed down the field to the absolute best online universities, considering factors that matter most to students: tuition costs, financial aid availability, post-graduation salary potential and more for the 2017-2018 academic year. See which universities made the cut. Harvard University Online has vast array of learning opportunities for students of all levels, ranging from podcasts and free courses to non-credit certificate programs and graduate degrees. Harvard uses several different technologies and platforms to deliver online education, such as the edX platform, which was collaboratively designed by Harvard and MIT. Online courses may be self-directed or follow a specific time frame, and are offered completely online, or in a hybrid format, such as the master of science degree in health management. Harvard Online also offers free, non-credit versions of several fee-based, for-credit courses, and rest assured, students earning credits online will receive Harvard transcripts. Drexel University Online has over 100 degree programs, with bachelor's, master's and doctorate degrees available in areas such as communication, business and education. Specialty certificate programs are also available online, in over 45 areas of concentration. Discounted tuition for some of Drexel's online programs may be available to military students, Drexel alumni and through partnerships with specific organizations and employers. Drexel Online students have access to several online resources, including the student library, where students can communicate with library staff via the chat feature, e-mail, phone and skype. Students can check out video content and e-books, and can even have library materials shipped to them. USC (University of Southern California) Online has a wide variety of graduate level degrees and certificate programs, ranging from traditional programs, such as psychology, engineering and teaching, to less commonly seen programs such as Geospatial Leadership and Geriatric Dentistry. Several programs are offered completely online, while others, such as teaching and social work, will require field work, which can be arranged near the student's home base, and may also include self-paced coursework and face-to-face classroom time. USC Online has several online programs geared towards military students, including military social work, cyber security and a master's degree in business for veterans. Illinois Institute of Technology (IIT), focuses on technology, science and research, with online degree programs available in areas such as architecture, human sciences, business and applied technology. Students can earn an undergraduate or graduate degree partially or completely online through IIT, with courses taught by the same faculty, following the same curriculum. Online graduate students can choose from a thesis or non-thesis degree option, and undergraduate students can choose their major, or enroll as undecided. IIT also offers online professional development courses, which are a blend of lecture and lab, and a large selection of online IT professional certification courses. Saint Joseph's University (SJU), a Jesuit Catholic University founded in 1851, offers several online graduate certificate, master's and bachelor's degree programs. Areas of study include liberal studies, business, leadership and health services, along with several concentration options in criminal justice and education. Many of these programs provide opportunities for students looking for leadership roles and career advancement, while also providing a flexible curriculum, based on students' work and personal needs. SJU offers several career resources for online students, plus easily accessible support and communication with teaching faculty, library staff, program managers, academic advisors and technical assistance through the 24/7 help desk. Columbia University Online has several online master's degree programs, along with several non-credit certificate of professional achievement programs. Examples of certificate program areas of study include business, environmental sustainability and health information technology. These programs are specialized, career-oriented programs that also prepare students for graduate school, and several can be used towards completing a master's degree at Columbia. Online courses at Columbia are either completely online, or in a hybrid format, with evening class and weekend fieldwork options. Columbia students have several other online educational opportunities, including access to the Coursera organization, which allows students to take courses from partnered universities across the world. Case Western Reserve University (CWRU) offers online and blended master's degrees in specialized areas such as digital health technology, social administration and several concentration degrees and certificates in engineering. CWRU also offers a wide variety of MOOC's and individual courses through Coursera. CWRU's Technology Enhanced Classrooms initiative brings the latest technology to both on-campus and online courses, and course will soon be delivered through Canvas. Other technology commonly used is i>clicker, which allows for immediate communication in virtual classrooms, Google Apps, MediaVison Courseware and video conferencing. Students can access several academic and technical resources through the school library and the University Center for Innovation in Teaching and Education (UCITE). Canisius College has a variety of specialized and unique online master's degree and post-master's degree certificate programs. Some programs and individual courses are offered fully online, while others are available in a hybrid or blended format, with possible part-time, full-time and self-paced options available. Depending on the program, online students may be required to do a residency, and may also have opportunities for internships near their place of residence. Online students have 24/7 access to courses and can communicate with faculty and advisors after hours. In addition, online students can take advantage of online resources such as the virtual library, online writing tutors and ITS help desk. Lehigh University offers master's degree and for-credit certificate programs online along with individual courses, with non-degree seeking admission options. Lehigh's Office of Distance Education uses two different instructional platforms: Classroom Live, where classes are viewed online in real-time, and Classroom Online, which consists of pre-filmed classed that can be viewed anytime via streaming video. In addition, faculty may also use e-mail, web-conferencing, discussion boards and phone calls to communicate with students. Lehigh's online courses typically follow the on-campus academic calendar, and follow closely with on-campus course curriculum. Several programs are geared towards career advancement, and students taking online courses at Lehigh may be eligible for employer-based tuition. Gwynedd Mercy University (GMercyU), one of 16 Catholic universities founded by the Sisters of Mercy, offers several accelerated online and hybrid undergraduate and graduate degree programs through its School of Graduate and Professional Studies. In addition to bachelor's and master's degrees, GMercyU offers an online associate degree in business administration and a few post-master's and doctorate degree programs in areas such as nursing and education. These programs are designed for students needing maximum flexibility, such as working professionals and military students. Students interested in earning an online degree at GMercyU may be able to transfer in a specific number of previously earned outside college credits. John Hopkins University (JHU), known for research and education, has over 240 degree and certificate programs, with nine academic divisions, including a large selection of online degree programs in areas such as medical care, teaching, engineering, arts and sciences and business. Online bachelor's, master's, doctorate and graduate certificate options can be completed in a part-time or full-time capacity, with many offered fully online, or in hybrid format, using the Blackboard platform for course delivery. JHU offers an online orientation for first time online students, and several online resources including a 24/7 help desk, JHU library materials, academic advisement and student assistance via phone, skype and e-mail. Purdue University Online offers several graduate level degree programs online, allowing students maximum flexibility while earning a prestigious Purdue degree. Many of these online degrees can be completed entirely online, while others are offered in a hybrid format, with some practicum hours or campus visits required. Online curriculum is structured similarly to on-campus classes, with expected deadlines, but students have 24/7 access to the virtual classroom, and can communicate with faculty and classmates via discussion boards, e-mail, chat features and one-on-one electronic consultations. Purdue online also offers professional development, corporate education and non-credit courses and even an associate degree in veterinary technology. Founded in 1878, Duquesne University has been around a long time, and is one of a few Catholic universities recognized for its research, along with its well-known academic programs. Duquesne now offers several options for students seeking an online degree, including accelerated bachelor's and graduate degrees, with some at the doctorate level. Some of these programs are designed to be completed fully online, while others will have some online components combined with face-to-face classroom time, clinical time or field work. Online curriculum will give students opportunities for both individual and collaborative learning. Examples of fully online programs here are in the areas of business, education and liberal arts. Southwestern College (SWC) is a community college offering a wide variety of courses either fully online, or in a hybrid format. Depending on the class, some online students may be required to visit the campus for testing or meetings. Online students have access to virtual classrooms through the Blackboard learning platform and can communicate with teachers and classmates through online study groups, discussion boards and e-mail. Some online courses offered at SWC can be used towards an associate degree, or transferred to a four-year college or university. SWC provides several resources to online students, including online advisement and academic and career counseling. Founded in 1896 as a college of technology, Clarkson University has a long history of providing top-notch degree programs in the world of science and technology. Currently, Clarkson offers several online graduate degrees in the areas of business, engineering, technology and science. These programs are designed with working professionals in mind, and many are offered with full-time or part-time options, with possible campus visits required. Online students will have opportunities to take part in real-time virtual classroom activities such as lectures, group discussions and self-directed assignments. Clarkson's online courses are also available to non-degree seeking students looking to further their education. Florida Institute of Technology (FIT) has several online learning options with continuing education, associate, bachelor's, master's and graduate certificate programs available. Students can earn degrees completely online in areas ranging from criminal justice to psychology, through a partnership between FIT and University Alliance, an organization made up of independent technology universities. Students can also earn a graduate degree through Virtual FIT, which offers distance learning through the Canvas platform, at various off-campus sites such as air forces bases, military forts and the Kennedy Space Center. FIT online students must meet deadlines, but have the flexibility of not having to be online during specific times. The University of North Carolina at Chapel Hill (UNC) offers several types of distance learning opportunities. Carolina Courses Online (CCO) are blended or completely online courses on a semester schedule, while Self-Paced Courses (SPC) are offered online or as correspondence, and allow students to take up to nine months to complete. UNC's graduate degree programs and professional certificates are either entirely online or in a blended format, with curriculum containing both online and campus components. Another option is the UNC Online Exchange, in which UNC students can take online courses through other schools in the University of North Carolina system for the same tuition price. Through Southern Methodist University's Continuing and Professional Education (CAPE) division, students can choose from a wide variety of online non-credit courses and certificate programs geared towards working professionals, ranging from more traditional to technology/web-based careers. Certificate programs are either completely online or in a blended format, and depending on the program, can take anywhere from a few weeks to a few months to complete. Examples include web-design, grant writing, technical writing and law enforcement. Students interested in CAPE certificate programs can learn more with free informational downloads about individual programs and can also talk with a program advisor. University College, University of Denver's college of professional and continuing studies, offers several online graduate degree programs and five undergraduate majors through its Bachelor of Arts Completion Program. The courses for these degrees are available both on-campus and online, giving students the flexibility of completing their studies online, on-campus, or combining the two. Although the online courses follow the 10-week quarter schedule of on-campus courses, online classes are in an asynchronous format, allowing students to access their online courses when it's convenient for them. Students can actively participate in online classes through constantly updated class discussion boards, delivered through the Canvas online learning platform. 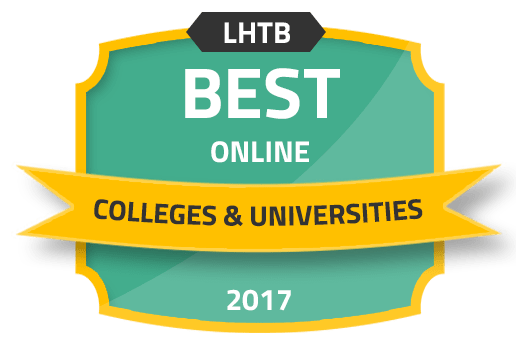 LeTourneau University (LETU) has more than 90 undergraduate and graduate degree programs, with several offered online in an accelerated format. Areas of study include education, human services, engineering management, psychology and bible studies and ministry. LETU online students can take advantage of helpful resources such as the Global Student Success Center, academic advisors, online tutoring and virtual library services. As a Christian university, LETU places high value on faith and service, and online students can stay connected through chapel recordings podcasts, the Faith and Work e-mail newsletter, a bi-monthly school blog and various popular social media sites. Students enrolled in programs at Carnegie Mellon University join over 13,000 students around the globe who are pursuing their degrees at the undergraduate and graduate levels. Students are able to pursue degrees in fields including engineering, fine arts, social sciences, computer science and business. Students are encouraging to be involved in their community and can access information regarding community service and outreach opportunities on the school's website. To prepare students for life after graduation, the school also offers various programs designed to help graduates achieve including internship information, career preparation workshops, and leadership development programs. North Carolina State University (NCSU) has over 85 online programs through its Online and Distance Education programs, with undergraduate and graduate certificates, degree programs and teacher licensure available. Students from other colleges and non-degree seeking students can also take online courses through NCSU. Programs are offered either fully online or in a hybrid format, with real-time or self-guided coursework, depending on the curriculum, and degree students can also combine on-campus courses with online courses. Some courses will test students online, while others require campus visits, or visits to one of NCSU's off-campus (remote) sites. NCSU uses WolfWare, its own course management platform, developed in 1999. Creighton University is a Jesuit Catholic university with a wide variety of online degree options, including traditional areas of study, such as business, education, ministry and public health, to less common offerings such as medical anthropology and catholic school leadership. Programs are offered either fully online or in a hybrid format with bachelor's, master's and graduate degree and certificate programs available. Many of these programs are geared towards career advancement, with both academic and non-academic paths. Online students can stay connected through discussion boards, group projects, residencies and social media. Creighton has several YouTube channels, including those featuring the ministry and Creighton athletics. Founded in 1842, Villanova University is a Catholic university offering both traditional and innovative online degree programs, non-credit certificate programs and corporate education, ranging from an RN to BSN nursing degree to the unique master's certificate in Agile Management. Several programs are offered completely online with part-time options, providing flexibility to working professionals and those with family obligations. Students seeking an online education at Villanova are assigned a program representative to help navigate options. Villanova uses Bisk for online course delivery, along with various technologies for curriculum presentation, and students have plenty of opportunities for engagement, through e-mail, message boards, chat features and virtual study groups. At Regis University, students can choose from nearly 80 online degree programs, with a large selection of undergraduate, graduate and certificate programs available. Several programs are in an accelerated format, and many are offered as both online or hybrid programs, for those wanting some on-campus time. Regis also offers combined bachelor's and master's degree programs, in which students can work on both degrees simultaneously, cutting down on time commitment and tuition costs. Regis is part of the Online Consortium of Independent Colleges and Universities (OCICU), which gives students the opportunity to take classes at other OCICU universities that may not be offered at Regis. The University of St. Francis (USF), a Catholic school founded in 1920, has over 120 online courses, with bachelor's, master's and doctorate degree options in areas such as business, education, nursing, management, leadership and social work. The online courses at USF use the same syllabus and course content as on-campus classes, but online students can access online courses at their own convenience, and communicate with classmates and faculty primarily through message boards, e-mail and chat features, with opportunities for both group and one-on-one interactions. Online students have several ways to stay connected, such as the USF Encounter Online magazine, an alumni e-newsletter, campus radio and television programs as well as social media. The University of Scranton is a Jesuit Catholic university offering several online graduate degree and certificate programs. Some of these programs are both fully online and on-campus programs, while others are only available as online programs or in a hybrid format, such as the Doctor of Nursing Practice (DNP) degree program. Programs are geared towards working professionals, providing extra flexibility, with typical enrollment at one class per 8-week term. Online courses are designed to be interactive and use the Engage Learning Management System, with communication between classmates and faculty achieved through online discussion forums, chat features, e-mail, instant messaging and group projects. Missouri University of Science and Technology has 17 graduate degrees and 50 graduate certificate programs offered online, along with several non-credit professional development courses. Most graduate certificates are earned after completing four required courses and many can be applied towards a related master's degree. Typically, on-campus courses are recorded live, and depending on the instructor, online students may be required to watch in real-time via streaming video and can participate using a computer microphone or a chat window, or can watch later from the archives. Group projects are often a combined effort between distance learning students and those in the same class on-campus. New York University's School of Professional Studies (NYUSPS) has a large selection of career-oriented online educational opportunities. Students can choose from two bachelor's degrees, four master's degrees, a wide selection of graduate certificates and over 1,500 career advancement courses, including NYUSPS Professional Pathways diploma programs. In these programs, students can earn professional or advanced diplomas, depending on their level of prior education. Upon completion of a series of career advancement courses, students can take advantage of Professional Development Badging, which showcase students' achievements, talents and knowledge earned both in and out of the classroom to be used on the students' digital resume and for social media networking. La Salle University is a Catholic University with several fully online undergraduate and graduate degree programs, along with hybrid program options. Master's degree courses typically last for eight weeks, allowing students to take two courses per semester, with the average time of completion at two years, depending on the program. Some programs have residency requirements for testing purposes, capstone projects and optional face-to-face meetings with faculty. Self-paced courses are delivered through the Canvas platform, while GoToTraining is used for real-time web-conferencing class activities. To make tuition more affordable, La Salle University is currently in the process of lowering tuition by 29%. Michigan Technological University (MTU) offers several online graduate degree and certificate program options, geared towards both traditional students and working professionals. In addition, undergraduate, accelerated master's degree, non-degree seeking, dual enrollment high school and outside university students can take individual online courses. MTU online graduate programs are mostly STEM related, and depending on the program, may have field-based summer courses, practicum, traditional thesis or research-based project requirements. Courses are delivered through the Canvas online learning system, and online students can access a wealth of technical support through the Information Technology Department. Microsoft anti-virus protection and commonly used software is free to all MTU students. For students seeking maximum flexibility, DeSales University, a Catholic university, has several online undergraduate and graduate degree and certificate programs, in areas such as psychology, marketing, finance, nursing and theology through its ACCESS Program. DeSales also offers hybrid programs and individual online courses, including health care program prerequisites and non-credit courses. Classes typically last 6-8 weeks, with some 3-week mini sessions periodically offered, and 11 start dates per year, with full and part-time enrollment options. Online degree-seeking students may be able to earn credits for work experience or military training, and may be able to transfer in up to 75 outside earned college credits. With over 260 degree programs and 19 schools and colleges, the University of Michigan (UM) has a wide variety of choices in majors, ranging from traditional to highly specialized. Several of these programs and courses are offered through distance learning, with online or hybrid options, in areas such as dentistry, engineering, nursing and public health. Many are designed for professionals working full-time, so a typical online master's program takes about two years to complete. Undergraduate and graduate short courses and custom programs are available, and UM also offers courses from all over the world through Coursera and free classes through MichiganX. The University of Virginia (UV) offers several educational paths, with online and hybrid undergraduate and graduate degree programs through its main campus, and non-credit undergraduate and graduate certificates through the School of Continuing and Professional Studies. UV uses UVaCollab, its own system for online course delivery, designed to encourage a collaborative learning environment. Students take an active role in online courses through video conferencing, instant messaging, e-mail, discussion forums, presentations and collaborative projects with other students. Degree-seeking students may be eligible for several types of financial aid, including a monthly or deferred payment plan set up through the university. At Iowa State University (ISU), students have many options when it comes to pursuing an online education, ranging from a bachelor's degree in liberal studies to a doctorate degree in apparel, merchandising and design. In addition, students can complete online master's degrees or graduate certificates in areas such as agriculture, education and human sciences, along with non-credit courses and programs geared towards professional development. ISU is part of the Iowa Regent Universities Course Sharing Initiative, which allows ISU students to take online courses through other Iowa universities, and the Great Plains Interactive Distance Education Alliance (GPIDEA), a partnership of 20 public universities offering online courses and programs in high-demand professions. Students interested in pursuing an online degree at The University of Florida (UF) have many program options, with several bachelor's, master's, specialist, and doctorate degrees. In addition, UF Online offers undergraduate and graduate specialized certificate programs and individual, non-credit and continuing education courses. Freshman can enroll in the PaCE program, which allows them to begin their degree courses online, then later transfer to campus to complete their degrees. UF has several online student resources, including academic advisement available at least once per term, online library resources, technical support, free or reduced price software, career resources and possible volunteer opportunities through the Center for Leadership and Service. All of Pace University's six schools offer online courses, either entirely online or in a blended format, with undergraduate and graduate degrees available. Most courses are self-paced, with opportunities for real-time communication with faculty and classmates along with group collaboration. Students can also complete their degree fully online through the iPace program, which offers bachelor's degrees in business, nursing, communication and professional technology, and an AA degree in arts and science. Depending on the program and transferring institution, iPace students may be able to transfer up to 68 credits from a two-year college and up to 90 credits from a four-year college or university. Norwich University Online offers both bachelor's and master's degrees, along with post-bachelor's certificate programs that can be applied towards a related master's degree. Programs are designed so that students take one course at a time, allowing those with work and family obligations the most flexibility, which encourages high retention, more in-depth study and class participation. Online students can expect individualized attention and support from faculty, assigned student services advisors, program directors and assistant program directors along with participation in group collaborations with their student cohort groups. Anytime access to the online courses is available as well as 24/7 tech support. Kettering University Online offers three master's degree programs and three graduate certificate programs, geared towards working STEM professionals. These are fully online programs, with courses lasting either six or eight weeks. Students typically take one course at a time, and average master's degree completion time is two years. Courses are asynchronous, allowing the student to work on coursework at a self-guided pace. Class participation is encouraged with use of interactive technology, and students communicate with classmates and instructors through active discussion forums, online bulletin boards, e-mail, chat and phone calls. Students will also work with a dedicated professional advisor who is available for support throughout their programs. Students interested in Concordia University in Wisconsin can choose from over 50 different online degree programs, in addition to many individual certificate programs. More than 2,400 students pursue online degrees through Concordia. The online programs at Concordia are flexible and vary in length, depending on the program requirements. The nature of the self-paced programs at Concordia allows students to work around other commitments and obtain a degree on their own time. Concordia University has been in existence for more than 125 years and is affiliated with the Lutheran Church Missouri Synod and the Concordia University System. The distance education programs at Texas A&M University gives students the option of pursuing graduate-level degree and certificate programs. The types of programs available include agriculture and life sciences, dentistry, education and human development, engineering, government and public service, medicine, nursing, public health and general science. The online coursework is flexible and designed to be completed anywhere, and when it works best for students. Texas A&M University's online programs are coordinated through the Southern Regional Board electronic campus. Texas A&M University has been in operation since 1876 and is accredited by the Southern Association of Colleges and Schools Commission on Colleges. Clemson University in Pendleton, SC, has emerged as both an affordable and comprehensive option for online degree programs. The affiliated programs present course subject material to students in both a blended (a mix of online and in-person) and fully online format. Instructors utilize canvas, blackboard, Adobe connect, Echo360, voice thread and other digital tools for learning technologies. Degree programs are available in biological sciences, construction science management, healthcare genetics, human resource development, parks, recreation and tourism management, public administration, rhetoric's, communication and information design, teaching and learning and youth development leadership. Worcester Polytechnic Institute in Worcester, MA, offers a comprehensive mix of certificate, master and PhD programs including construction project management, cyber security, data science, engineering, power systems management and more. While students complete individual programs at their own pace, the typical timeframe to complete a 30-credit master's program is three to five years, if the study is part-time. Most online courses can be completed on a student's own time and should expect an average of 15 hours per week to be spent on coursework. The institute was founded in 1865 and is accredited by the New England Association of Schools and Colleges, Inc.
Online learning through Quinnipiac University gives students a variety of bachelor's, master's and doctoral degree programs to choose from. They also offer certificate programs and undergraduate courses during the summer, which allows students to expedite the time it takes to complete their degree programs. The online programs at Quinnipiac are offered through the following schools: School of Business, School of Communications, School of Education, School of Health Sciences and the School of Nursing. The QU Online community provides students with helpful tools and resources as well as technical support that is available in-house seven days a week so students can learn uninterrupted and complete their programs completely on their own time. Online undergraduate and graduate programs are available to students through Philadelphia University Online. Students can choose from nine undergraduate programs, including accounting, business management, human resources, law enforcement, communications, behavioral and health sciences, information technology and organizational leadership. Philadelphia University Online also offers five graduate programs including a general MBA, and a master's of science degree in sustainable design, midwifery, disaster medicine and management and construction management. A degree from PhilaU Online prepares students for meaningful career paths and exposure to more jobs and internships. Philadelphia University Online is accredited by the Middle States Commission on Higher Education. At Brandeis University, students will enjoy small class sizes (with most classes capped at 20 students), professionally-trained faculty and subject matter experts, instructional designers for online courses and a variety of virtual meeting opportunities that accommodate the busiest schedules. The college offers several part-time online master's degrees, including bioinformatics, digital marketing, health and medical information, information security, instructional design, project management, software engineering, technology management and user-centered design. They also offer a graduate certificate in learning analytics. Programs are 100 percent online and can be completed any time and from any location. Students have up to five years to complete their degree program. Students pursuing an education with Rochester Institute of Technology have over 30 undergraduate and graduate programs that are fully online. Programs begin in May, August, October, January and March, giving students a variety of start times. Courses are offered in semester-long lengths and accelerated options, in addition to asynchronous learning which students can do on their own time. The Rochester Institute of Technology has placed more than 4,300 students with 2,200 employers all over the world, and enjoys a 95 percent job placement rate. The Rochester Institute of Technology is accredited by the Middle States Commission on Higher Education. Azusa Pacific University is one of the top Christian colleges offering a comprehensive blend of online programs. Students can choose from 35 different online undergraduate, graduate and certificate degree programs. There are 14 undergraduate programs including business, criminal justice, health sciences, nursing, etc. and there are 21 graduate programs including education, MBA, psychology, etc. Azusa Pacific University utilizes Sakai as their learning management system, which offers 24/7 access and the flexibility of completing coursework whenever it's convenient. Azusa Pacific University began in 1899 and is accredited by the Western Association of Schools and Colleges (WASC), in addition to 13 professional accreditations. Students pursuing an online course through Misericordia University have several undergraduate, graduate and certificate programs to choose from. Undergraduate programs include accounting, business, information technology and nursing while graduate programs include health informatics, business, and a doctorate of occupational therapy and nursing practice. Online learning options through Misericordia include web-enhanced courses, which combine face-to-face and virtual participation, while the predominantly online courses students can attend at any time. Classes are offered in either seven or 15-week formats. Satisfaction for adult learners has been shown to exceed national averages for academic excellence, academic advising, faculty expertise and quality of instruction. Choosing between an online or in person class or degree means weighing a lot of different variables. There are pros and cons to both sides, so we’ve laid out some of the biggest differences and similarities between attending college online or in person to help. Instructors post videos, presentations and other course content online so you may learn at your convenience, whenever and wherever you like. Live class discussions may be scheduled to virtually interact and share with your instructor and classmates. Assignments also receive due dates just like in person classes. Beyond group discussions or projects, cohort format is offered at some online schools, which allows you to complete your degree as part of a group, helping build friendships and networking, for your entire degree program. Pre-determined class schedules are set by the university. Classes you want to take could overlap or conflict with your work, family or required coursework schedule—it is up to you and your adviser to schedule accordingly. Some instructors count class participation as part of your grade, so simply showing up may be mandatory to pass your class. Discussions are more organic, and assignments receive traditional due dates. Some schools offer rolling start dates for online coursework, meaning you don’t have to wait for the beginning of the next semester to start. Classes begin and end at set dates per semester or quarter. Digital material is used for nearly all courses, including e-textbooks, websites, library resources, software and digital/interactive exercises. Fees are generally minimal compared to standard textbook fees. Many classes still require students to purchase or rent textbooks on class curriculum. Fees may be several hundred dollars per semester. Classrooms are beginning to use more digital material. Some schools charge all online students, regardless of their state of residence, the same rate as in-state students. Many states offer different in-state and out-of-state tuition rates for online students. However, the online rate may be lower than the cost for on-campus students. Most schools adjust their tuition rates based on a student’s residency. Residents generally pay a considerably lower amount for tuition than non-residents. So long as the school you attend online is accredited, CEO’s and small business owners nationwide agree an online degree is just as credible as a traditional, on-campus degree. This is the quality assurance standard by which any college or university, online or campus, can be evaluated. Finding an accredited program is a signal to students and employers that curriculum is high quality, meeting or exceeding current industry standards. Online students are required to complete their work on their own, individual time, which requires self-motivation and self-discipline. Social standards and experiences may or may not be open to online students—some colleges reserve events for campus students only, such as student discounts to sporting events or access to student clubs and organizations. If you are interested in online learning, but still want to have the opportunity to take a few classes in person, check for schools that offer hybrid programs. These allow students to take some of their courses online while offering others on campus, for a best-of-both-worlds experience. While online universities can help drive down the cost of tuition, commuting and living expenses compared to brick-and-mortar programs, the price of college can still be overwhelming for many people. Fortunately, online students are generally eligible for the same financial aid opportunities as their on-campus peers. Explore options and best practices for acquiring online college financial aid. Even with access to online schools around the country, it’s nice to know which distance learning opportunities are close by. We’ve set this search tool to allow you to see the online universities near you. Sort and compare based on individual criteria such as tuition amount, degree type, online program offerings, and acceptance rate, and see the results side-by-side. For those who want an education that is recognized by other schools and employers, students should consider programs with proper accreditation. Accreditation means that a school or program has been evaluated by an independent accrediting body and found to meet the high standards of a quality education. Accreditation matters not only because of the prestige behind it, but also for financial aid purposes. In other words, a school must be accredited in order for the student to receive the federal financial aid they might be eligible for. Students should consider only those schools that have the programs or specializations they want or need in order to pursue their chosen career path upon graduation. Online learners in particular should explore the varying options for their desired program to be sure it is conducive to the type of learning they want to use. For instance, an online program that offers only synchronous classes might not work for someone who has rotating shifts at work and other obligations; those students may need asynchronous learning instead. Look closely at the programs, as well as the format, to determine whether the school should be on the “short list” of options. Online study shouldn’t be an afterthought; it should be presented to the student in a way that makes them feel valued. Online students are just as important as those who attend a traditional school, and their education is often just as rigorous, meaning they deserve the same robust services that traditional students might receive. From placement services to full access of library materials to mentors and advisors, students should look for the services that are designed to help keep their educational path moving smoothly. Aside from these essential criteria, other factors that make a critical difference when choosing between online colleges and universities should be considered. In the following questionnaire, prospective students can rate the importance of various college criteria based on their individual needs and personal preferences. Afterwards, we’ll evaluate the answers and create a custom checklist that can be downloaded for future use during the online college search. For many, cost is the deciding factor when picking between online schools. Beyond published tuition and fees, students should calculate the college’s average net price, which subtracts gift financial aid and tax benefits from the published sticker price to reach a more accurate measure of out-of-pocket expenses. Some online colleges offer generous financial aid packages to their students, which can significantly reduce out-of-pocket education expenses. Though location might not seem to matter at first blush to an online student, it may make a big difference for two reasons: Students who live in the same state as an online school’s physical location may be able to take advantage of in-state tuition, and some programs may require hands-on work, weekend seminars or other campus visits even for online students. Will credits earned during the online program transfer over to other schools, or does the college accept credits received from a previous program? Students should check with the admissions or transfer office to be sure whether the credits will transfer to and from certain schools. Even online students can participate in campus culture. Often times, a campus’s culture can help to connect distance learners in common beliefs, interests and history. Schools with a religious affiliation, historically black colleges, private schools with small class sizes or large public schools are a few examples of atmospheres that might appeal to students. A school’s reputation and ranking may be key factors in the decision-making process for those who are looking for prestige or those who desire a degree from a particular school that regularly denotes excellence. Have programs that match my schedule and academic/career goals. Offer robust online student support services. Are affordably or competitively priced. Have generous financial aid packages. Are located in-state for tuition discounts or within a suitable travel distance for on-campus requirements. Have campus/student cultures aligned with my personality and beliefs. Are ranked highly from several credible sources. Patrick Mullane leads HBX, Harvard Business School’s online learning initiative, as its executive director. In the interview below, he shares key insights into the online college selection process. Flexibility is a hallmark of online schools, but what other attributes should a student consider, especially those that aren’t readily evident? If you are taking a course for college credit, it can also be important to understand the transferability of credits to another institution. Not all institutions will accept transfer credits, so if you have designs on using an online course to lighten your load when you enroll in another school’s program, be sure you know ahead of time what the rules around transfers are. What are some big red flags to watch for when choosing an online school? Fortunately, online education has come a long way in the last five to 10 years, and big red flags are few and far between. Common sense is your best friend when it comes to making a smart choice. Prospective online students should do plenty of research before choosing a program. They can turn to reputable news sources and websites, which may have lists or references regarding online programs. What’s your best piece of advice for students choosing between a few worthy online schools? Students should start with their end goal in mind. They should ask questions such as, “What am I trying to accomplish through an online course? Am I trying to learn a new hard skill for my current job, enhance my résumé for a new job, or make a career change?” These questions matter as they can help you sift through the options. If you are trying to signal your commitment to mastering new skills in order to advance your career or make a career change, a rigorous program that awards a credential of some kind, like the HBX CORe program, would be a good choice. If you are simply trying to brush up on a skill that helps you in your current job, a free course that has no “paper” (certificate, credential or degree) at the end may be just fine. Looking for even more information on how to choose the best online colleges and universities? This list of impartial and informative resources can help students make their final decision and explore other information as well, such as financial aid and scholarships. A service of the U.S. Department of Education, this extensive resource provides information on everything from tuition costs, net price, and vocational and trade schools. Part of the National Center for Education Statistics, this in-depth search tool provides students the opportunity to search through a variety of schools, in addition to helping with career searches and financial aid. Another service of the U.S. Department of Education, this important website can help prospective students answer the very important question of whether or not their potential schools are accredited.